​Jupiter’s station at this gap reflects a breakdown and, as the biggest planet in our solar system, a dip in optimism, particularly in relation to the economy. Jupiter will return to Sagittarius on November 4, after spending much of 2019 retracing its steps in Scorpio; bringing us back to the drawing board. The 'shadow phase' began in January 2019, as Jupiter entered the last 10 degrees of Scorpio; where it will move back and over again from the end of April until November. We are likely to see many ups and downs in our new vision of Europe during this time. ​In 1973, Britain and Ireland joined the EU when Uranus was at 29 degrees of Virgo. In the summer of 2016, when the Brexit vote took place, Uranus has just moved to 29 degrees of Sidereal Pisces, into an exact opposition to its 1973 position. When a Uranus opposition occurs in an individual’s chart, at around the age of 41 to 43, this is what most astrologers refer to as a ‘mid-life crisis transit’. (Vedic astrology puts this down to Rahu’s maturation at age 42). Both are relevant. So, what happens when nations have a sort of mid-life crisis? Well, Brexit! The chart for Great Britain is that of the Act of Parliament changing the name of the country and recognizing the separation from Ireland on April 12, 1927. (Thank you to Geoffrey Pearce for his work at nationaloutlooks.com). The horoscope for Ireland is for midnight April 17/18 in 1949, when the Republic of Ireland Act 1948, came into force; marked by a 21-gun salute at midnight on O’Connell Bridge, Dublin. One strong link - apart from the same rising sign - lies between the Irish chart’s Moon and Britain’s south node (Ketu). This shows a karmic tie between both countries, with the laws and ethics of Ireland impacted greatly by the British (Ketu rules Scorpio). Both countries have very strong ties, of course, and some of them very challenging. Britain’s Sun in Pisces is at almost the same degree as Ireland’s Mars. While the Sun represents the government, Mars represents fighting, and both countries experienced a period known as ‘the troubles’ from the 1960’s to the late 90’s. The ‘Good Friday Agreement’, an agreement between the both governments, is now cast in doubt because of Brexit. 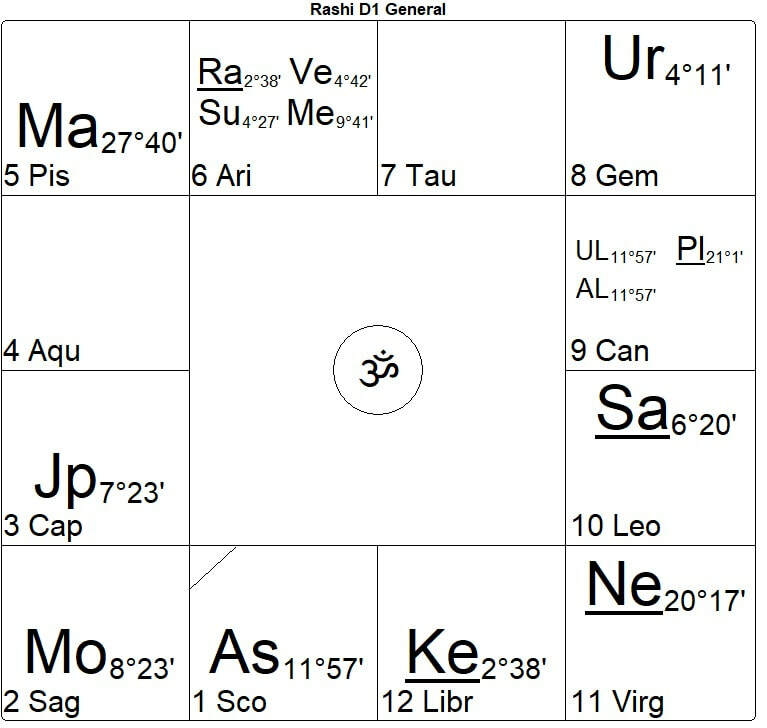 Notice the close conjunction of Mars and the north node (Rahu) in the 8th house of the British chart. These were Britain’s daśās (planetary cycles) during the most conflicted period in Northern Ireland and England (Britain). In Britain’s horoscope, Saturn is almost exactly conjunct its ascendant degree in Scorpio. For a Scorpio ascendant, Saturn represents a deeply-held sense of self and self-interest. The chart's Saturn cycle began in 2010, while its current sub-cycle is Venus, until June 2020. Venus is a challenging planet for Scorpio ascendant, offering a mixed bag of results, as it rules the 7th and 12th houses; the areas of relations and losses. Its saving grace is that it is placed in the 7th house in its own sign. However, this also means it is opposite Saturn. While a Saturn/Venus cycle is usually a turning point in any chart, the fact that they are opposite shows where the turning point comes from, i.e. relations to other countries and a separation. 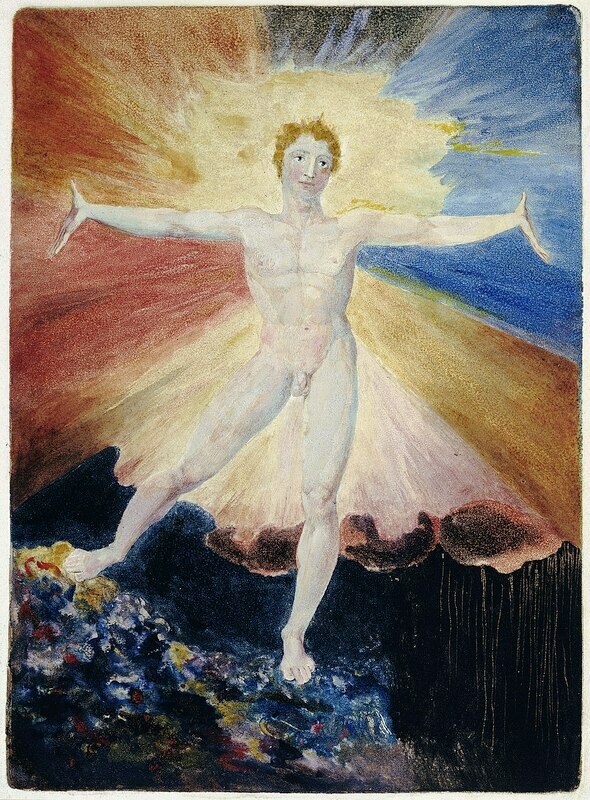 ​The next sub-cycle for Britain, from June 2020, is that of the Sun. The Sun rules the all-important 10th house of governance, while it is placed in the 5th house alongside the 8th lord and aspected by the nodes and Mars, reflecting the many challenges to the country's future direction. ​​Overall, Saturn's cycle poses challenges which manifest as financial worries while Saturn transits the 2nd house of Sagittarius from 2017 until 2020, especially as Jupiter, the ruler of the 2nd house, stations here in March/April 2019. The Irish horoscope is experiencing a 16-year Jupiter cycle, which began in 2012 and lasts until 2028. Jupiter is debilitated in Capricorn in the Irish chart, although stronger by division. Jupiter represents the country’s finances and future generation. Although Jupiter rules finances in both the British and Irish charts, because Ireland is experiencing a debilitated Jupiter cycle it will experience more challenges financially during Jupiter’s station in 2019, as well as its subsequent conjunctions and debilitation in 2020/21. Jupiter in Saturn's sign points to dealing with practicalities, leaving little or no time for ethical concerns. Ireland is currently experiencing a sub-cycle of Mercury, from July 2017 until October 2019. Mercury is the 8th and 11th lord which represents financial ties with others, while placed in the 6th sign of challenges to be overcome. This does offer some reversals of fortune, thankfully, as and when the 8th lord is placed in the 6th sign it becomes a sort of double negative. In October 2019, it enters a much more uncertain period as it experiences a Ketu sub-cycle, placed in the 12th house of losses and expenditure, ruling the horoscope’s all-important rising sign. We are likely to see more of a fallout due to Brexit after October for Ireland, with a lot of uncertainty about its future direction due to the hidden nature of the 12th house. Ireland then enters a sub-cycle of Venus, which offers more challenges, with Venus in the 6th house of debts. Although this is another double negative (12th lord in the 6th), Venus’ placement and rulership of the 7th and 12th house is a challenge when it comes to the country’s interaction with other countries. Losses are likely to ensue, and debts accumulated. The ‘good’ news is that the north node (Rahu) is triggered by being placed alongside Venus, which means Ireland will experience something like its Rahu cycle which lasted from 1995 to 2012; the ‘Celtic Tiger’ years (Rahu sits astride a tiger in myth!). This is when the country experienced a lot of ups and downs economically, as Rahu is likened to a roller coaster and Aries placed in the 6th house shows an inflated situation in relation to debts – a type of hot air balloon situation, economically. We are likely to see some of these themes play out in some way, perhaps a repeat of the borrowing that occurred during those years - just to keep the country afloat. In the British chart, the south node (Ketu) is placed at 8 degrees of Sidereal Sagittarius which is where the solar eclipse of December 16, 2019 occurs; confirming the profound change Britain experiences in 2019/2020. 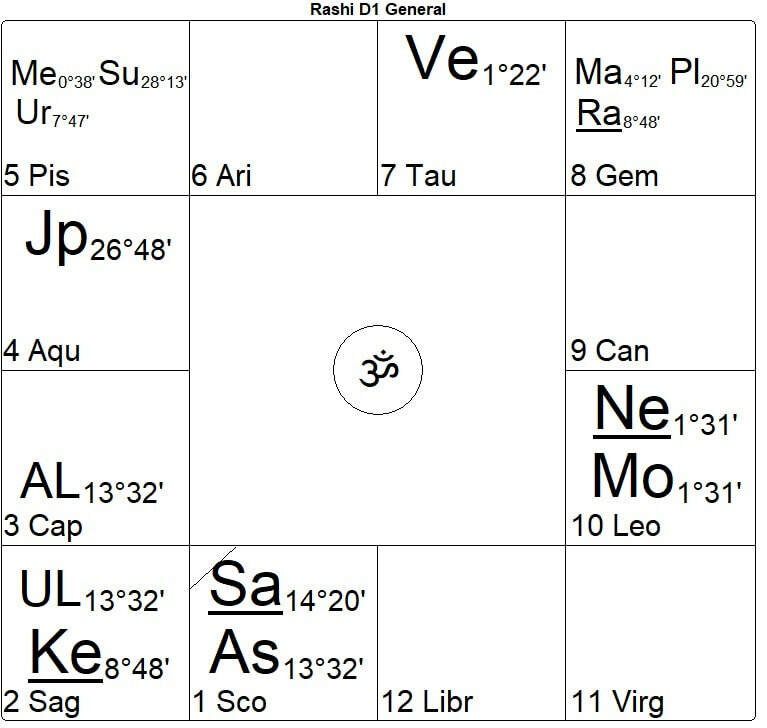 As Ketu returns to its original placement in April 2020 - at which time Jupiter will have just moved into Capricorn - there is a need for the country to let go of their need to go it alone, while Mercury is placed in Pisces in the 5th house, showing a push towards more creativity around joint resources and trade. Both areas will be challenged during the nodal return, as Jupiter and Mercury are both debilitated in the nodal return chart. Thankfully, Mars is exalted alongside Jupiter which helps the British find the courage to express themselves and their needs.